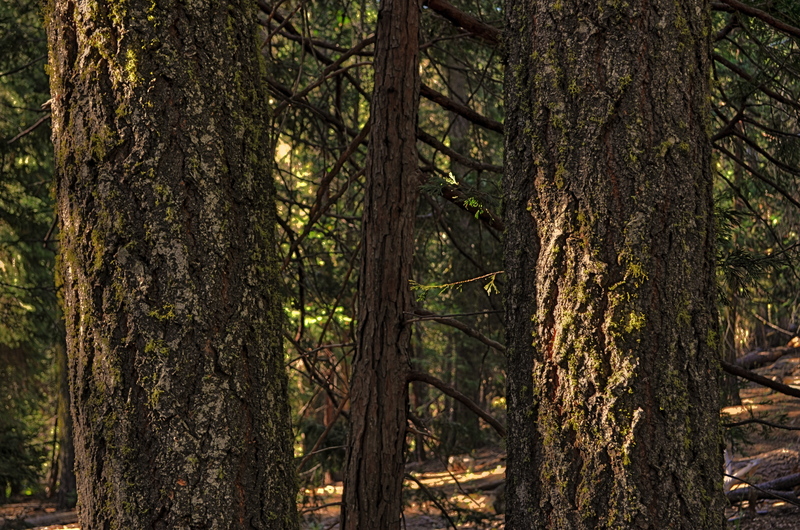 YOSEMITE NATIONAL PARK IS A SUPREME PARADOX FOR A SHOOTER. On one hand, it has never been technically easier to simulate the texture and range of tones that were hard-won miracles for its guardian angel, Ansel Adams. On the other, the very act of visiting the park has never presented a more severe barrier to the kind of mental and emotional commitment to picture making that was, to him, a constant. The original mission of this blog is to share creative successes from amateur to amateur, but also to name the problems which restrict us to taking, instead of making, pictures. 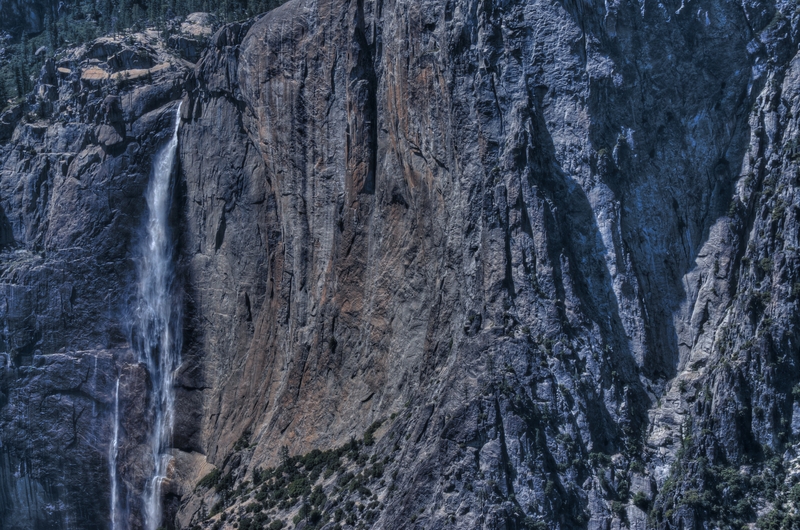 Yosemite, historically the proving ground for photographers the world over, also presents one of these problems. Adams had to suffer, slog, hike, and persevere to set up his visions, all the while wrestling with a technology that punished the slightest miscalculation. The park itself presented a rugged challenge to him as well in the early 20th century, as its greatest vistas were not just a minivan jog away and its best treasures resisted his inquiring eye. So how come his pictures are so much better, still, than anything most of us can deliver in an age of ultimate simplicity, ease, and access? There is a disturbing statistic quoted by the park service, that the average visitor to Yosemite is actually in the park for a grand total of two and a half hours. Not exactly the time investment that a photographic subject of this scope warrants. We also tend to enter the park in much the same way, stop by a predictable list of features, and take most of the same “money shots”. We all know where the good stuff is, and it seems to be irresistible to offer up our “take” on the craggy face of El Capitan, the serene power of the Mariposa Grove (with its astonishing giant sequoias), or the obligatory capture of a waterfall….hell, any waterfall. And yet….I can’t be the only one who has come home from vacation to find that my pictures are just….okay. Overwhelmingly…..non-sucky. Stunningly….passable. Adams’ life’s work, a mutual exchange of energy in which he and Yosemite were creative partners in the deliberate making of images, is, for us, a re-creation, a simulation, the photo equivalent of karaoke. Just like many lounge lizards “kinda” sing like Sinatra, too many of us “kinda” shoot pictures like Ansel. For Adams, photography was like asking the wilderness to dance. For us, it’s like asking the mountains to say “cheese”. Part of his mission was showing us what a treasure we had, but he might have sold the product too well. Part of the Yosemite that spoke to him is gone, compromised into tameness by sidewalks,snack bars, and gift shops. Worse, much of what we do choose to record of it is done in quick stops off the tour bus, stolen moments before the kids get too tired , and the rabid urgency of God-let’s-hurry-up-we-have-three-more-places-to-hit-today. Indeed, park officials laughingly refer to people who drive in and out of the park’s main areas without even emerging from their cars, bragging that they “did” Yosemite, like a ten minute rock wall climb at REI, squeezed in before a trip to the food court. The Ansel Adams Gallery, which has operated in the park for more than a century now, certainly features fresh visions by new artists who are still re-interpreting the wonder, still managing to say something unique. But many of our cameras will betray how little of our selves are invested behind the viewing screen. Adams’ work resonates through time because we recognize when someone has poured part of their soul into the creative cauldron. And certainly, if we are honest, we also know when that ingredient is missing. “I want to see your face in every kind of light” goes the old love song lyric. Being in love with a woman, an idea, anything, demands time, deliberation. To see the object of one’s affection in all light, all seasons, all moods and tempers, is more of a pact than many of us are willing to make. The pictures we bring back from many places may not be lessened in their impact by this fact. But Yosemite is not “many places”, and she will not give up her secrets to just anyone. Fortunately, if we care, we can return and try again to do more than merely tattoo pixels onto a sensor. That has always been the promise of photography, that you can redeem your myopia from one day by re-thinking, re-feeling on another. But it means changing the rules of engagement with our subject. For those of us who cannot or will not do that, the world will not stop spinning, and, in fact, we will chalk up many acceptable images along the way, but Ansel will always be the one among us who really understood the magic, and discovered how to conjure it at will. This entry was posted on June 19, 2012 by Michael Perkins. It was filed under Composition, Exposure, Light, Parks, Scenic, Textures, Yosemite and was tagged with Adams, Ansel Adams, El Capitan, God, Mariposa Grove, National Parks, United States, Yosemite, Yosemite National Park.